Do your emails look beautiful everywhere? Do your emails look great on every device? We have been promoting ourselves as the best web design Newcastle has to offer via our website and email marketing for over ten years now, and they have certainly changed over the years. 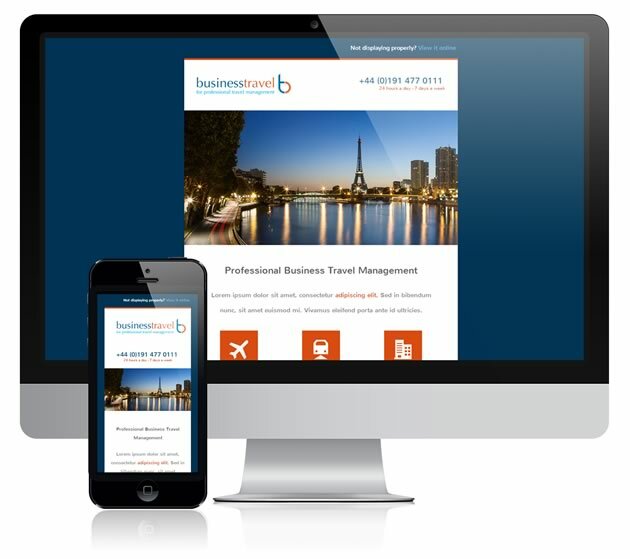 Everything we produce is now focused around a responsive approach, making sure we cater for mobile and tablet users. This approach should also apply to responsive HTML email design and build too. We all know email marketing can be an effective way to communicate your offering to your customers and potential customer base. 2013 was a big year for mobile email and by December, 51% of people where opening their email on a mobile*** and this is growing month-on-month as we progress through 2014. If you’re thinking about email marketing, you’ve got to be thinking about catering for mobile and tablet users and what this means to the design and content of your emails to make sure they render correctly across these devices. So why is it so important to design your email campaigns to mobiles? It is our job to work with you and make sure we communicate your key messages and content via the mobile version of the email. Content can be arranged in a more positive way to better communicate via a smaller screen, with key calls to action for the mobile user. Maybe it’s time for you to review your email marketing? We’d love to chat to you about how we could apply our experience and expertise to your email marketing campaigns.